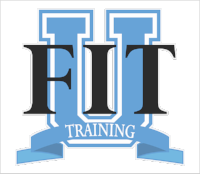 It's been a long time coming, but the new site better reflects what we're about at Fit U, and what we want to share with you. Please check back here for fitness tips, nutritional advice and answers to the questions we get from our clients. This site is your site too -- just like our facility is your fitness home. Come in, kick back, and plan to stay a while. You're always welcome here.